Greetings Ethos Community! It has been a tough week for many of us, so I wanted to take a moment to clarify a few things around the upcoming release of Ethos Universal Wallet, and our approach in general. I am extremely proud of the team putting in a ton of overtime to push the Universal Wallet over the finish line. A tremendous amount of work has gone into this app and we are very excited to show you what we have been working on. It’s been incredible to see how our team has grown, rallied together and what we’ve been able to accomplish in just 9 months. In that time — we’ve built a company, we’ve built a community, and we’ve built a tool that what we hope will be a big part of building a movement. We have an exceptionally high standard of quality for ourselves at Ethos. If we do not believe that the app is ready for market we will not release. This would be a disservice to the team who has worked so tirelessly on this app. We release game changers, not yawners. We strive to be extremely transparent with our development process. Most organizations wouldn’t give their community ANY insight at all into their process. We laid out our (aggressive) goals to the community in good faith. We hit our goal for this release candidate and we made the decision it simply isn’t what we are looking for yet. We do not make release decisions based on ANYTHING other than “is this product ready for the world?” and “is the world ready for this product?”. If the answer to both of those questions is YES, then we will do a release. Market conditions will never dictate our release schedule. To those who ask about it, ask yourselves “would you still be demanding an immediate release given alternate market conditions even if the product isn’t ready?” As with everyone, answers may vary. Our priorities remain security, safety and scalability. We are tackling profound issues around self-custody, security and a scalable multi-chain blockchain abstraction system. Bottom Line: We have a release candidate app! Release candidate means that it could be ready for launch, but it is pending an internal decision. We have carefully considered this decision and have decided that this release candidate is on hold for public launch and will instead move towards product council beta in order to ensure maximum quality for a successful global launch. We are at a point where other projects may decide to launch their product, but we have set a far higher standard for ourselves. This means that the app is being prepared for beta testing, but it will be a limited launch to take some time to make the app the best it can possibly be. The beta launch will include the entire product council, top token holders, Ethos customer service reps and moderators, and selected pre-registration members. The goal of the beta round will be to ensure a high level of stability, scalability and security across the entire system. We have put in a lot of up front work to mitigate potential technical issues down the road which has contributed to the long build time. Our goal with the Universal Wallet is a global-ready, scalable and compliant product. 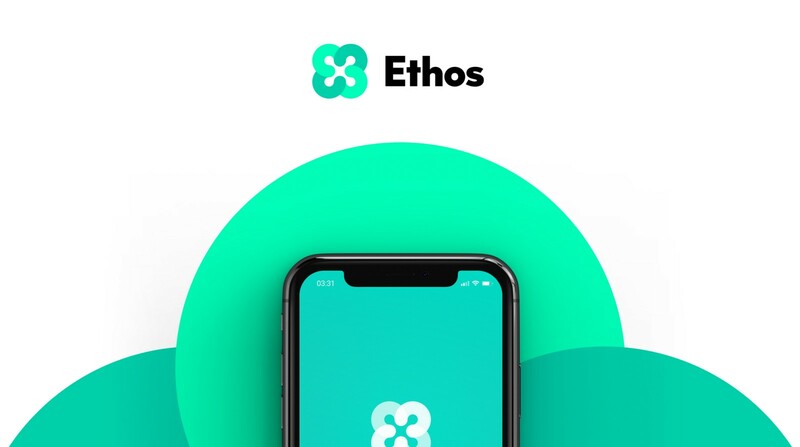 Every beta tester is an ETHOS token holder as one of the functionalities of the token is eligibility for early access to product releases. This will also continue for future releases like the fiat gateway. We will be sending out at least one more round of invites to the beta launch. What does this mean for app release? We are aiming for the start of a global rollout in April. This rollout will be on a country-by-country basis. We will work through countries as quickly as we can finalize compliance on a jurisdictional basis. While a wallet may seem like a trivial thing from a compliance perspective, it is actually quite complex and laws vary from country to country. We take compliance seriously and have done our due diligence on many transmission and custody issues relating to digital currency wallets. We plan to be innovative in a legally compliant manner that protects the interests of consumers and preserves the unique promise of the blockchain. We believe we have solved many of the issues around this already, but also believe it is important for us and the community to take compliance seriously. Demo! We plan to do a demo of the app very soon to show you all where we are at! This is a real-live, 100% coded, release candidate app. The real deal. This is to show you we are serious and we have been hard at work building the foundations of a new economy. Rome wasn’t built in a day… but we are close to finishing the Pantheon! More Invites! Be sure to check your emails because we will be sending out some more beta invites! Everyone who joins the product council will get to participate in an awesome BUG BOUNTY PROGRAM! Every bug you find during this program and successfully report will earn you a little bit of ETHOS. This bug bounty will also continue through to the main release to allow everyone to participate. Trello Board to gain Insight into Development! To drive more transparency into supported coins and features, we will be launching a Trello Board for all of you to gain insight into what we are working on. The Trello board will provide a general timeline of when things will actually get done. Going forward, the Trello Board will be the official version of all timelines, roadmaps and dates and we will no longer be providing official or unofficial timelines in any other format. The Trello Board will also contain information on the development of our fiat gateway as we get closer to being able to share information around it. We believe that this will provide everyone with a tremendous amount of insight into what the actual timeline looks like rather than causing confusion around when things will and won’t ship. And Last of all, THANK YOU! Thank you to everyone in the community who have helped us get this far. We are extremely excited to be able to take our first step into what will be a long and rewarding journey for all of you. The community is what makes Ethos possible. Thank you for your patience and perseverance through everything. We are lucky to have each and every one of you. We won’t let you down.